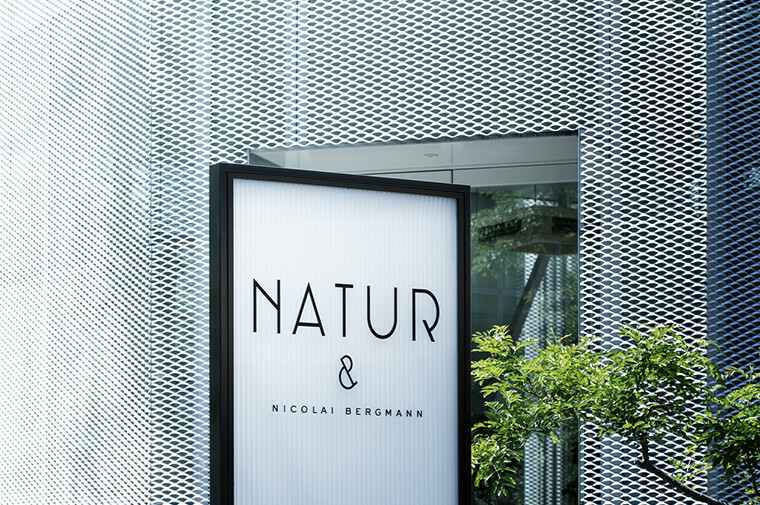 NATUR & Nicolai Bergmann is a jewellery brand from Danish floral designer Nicolai Bergmann launched in May 2017 at the brand's flagship store located in a distinctive building in Tokyo designed by Japanese architects SANAA and with interiors by Danish design practice OEO Studio. 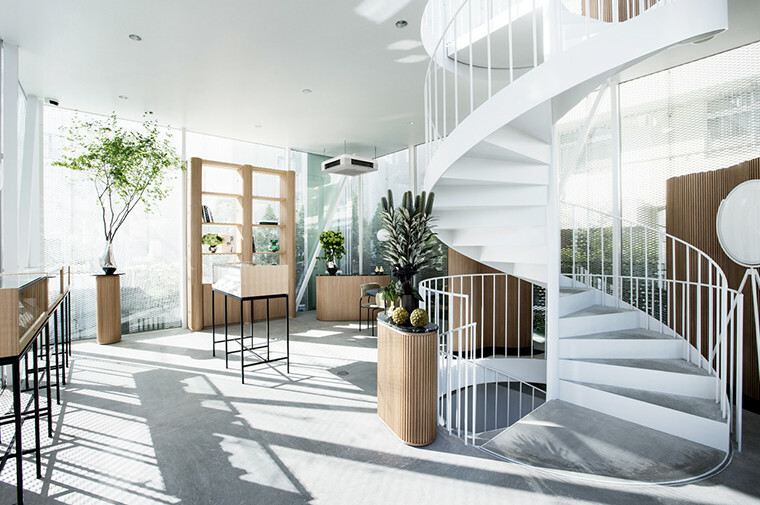 The interiors feature a refined blend of high-quality furniture and lighting as well as custom-made interior design solutions. 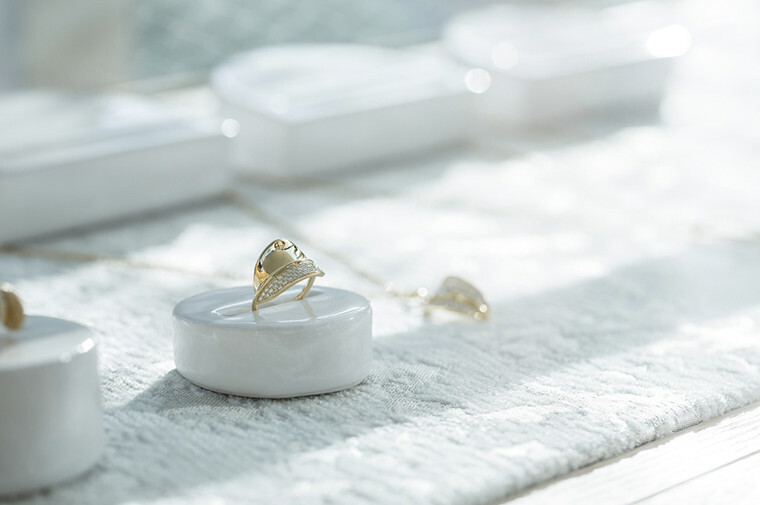 OEO Studio has designed bespoke jewellery cabinets for the space where the jewellery is displayed on a beautiful fabric backdrop from Hosoo featuring the Petals textile from Hosoo's in-house design team, and the Mesh textile designed by OEO Studio in 2012. Photography by Michinori Aoki.